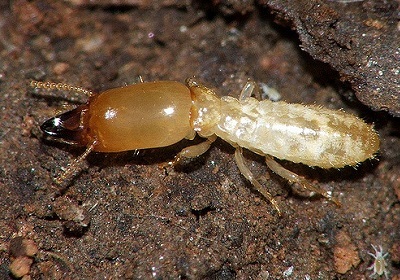 Termites are often referred to as “white ants” as they resemble an ant. Unlike ants, termites cause extensive structural damage to properties if they are not controlled by qualified pest control specialists. They are white, as the name “white ant” implies, with soft bodies and hard powerful jaws which allow them to chew through all wooden materials. In Gauteng, our climate promotes termite infestation, thus, we have two prevalent termite species namely subterranean and harvester termites. Harvester termites attack lawns leaving behind round patches of stripped grass whereas subterranean termites attack all wood within structures. 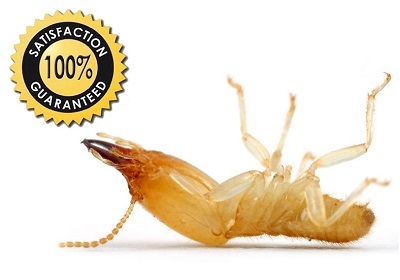 Why is Termite Control Required? Termites feed on any wood product which contains cellulose including cupboards, skirting’s, doors, frames, lawns and even your roof rafters. 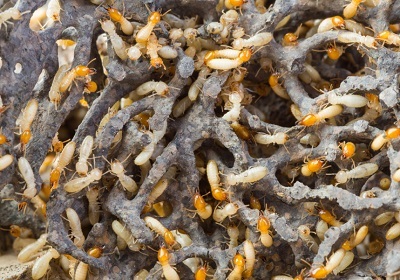 When feeding, termites eat from the inside out, leaving only a thin layer of timber or paint with NO structural integrity.